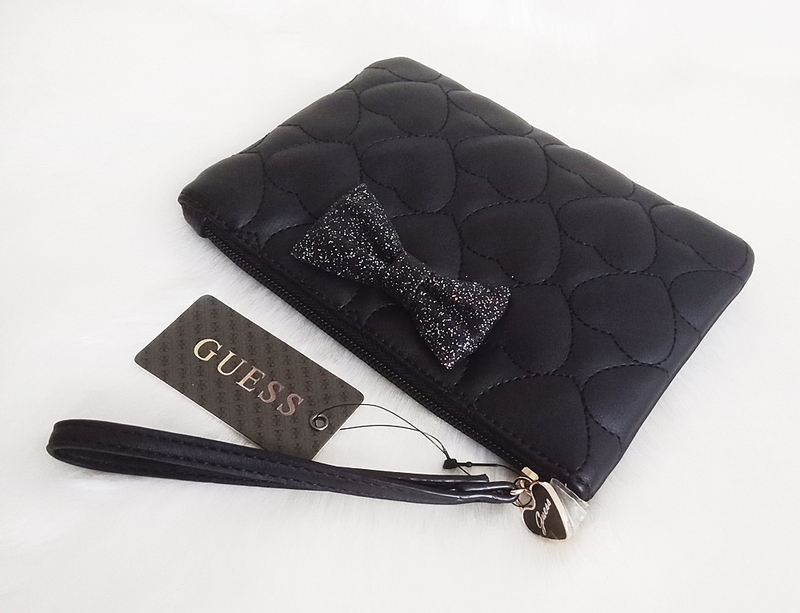 This medium wristlet fits iPhone X, Samsung S9 and other smartphones. Glittered bow on the front. 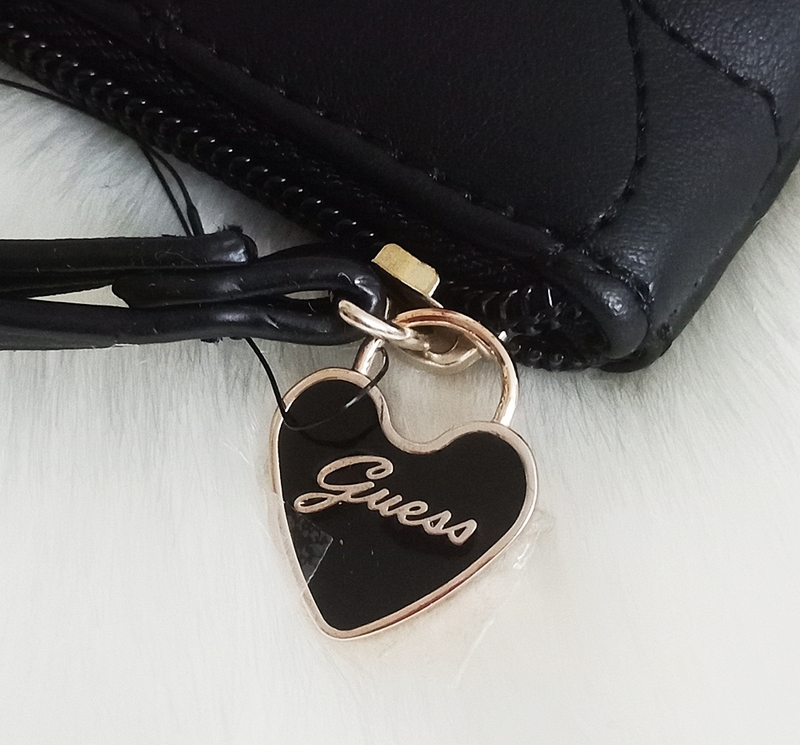 Top zip closure with Guess heart charm. Dimensions 18 x 14 x 1.5 cm. 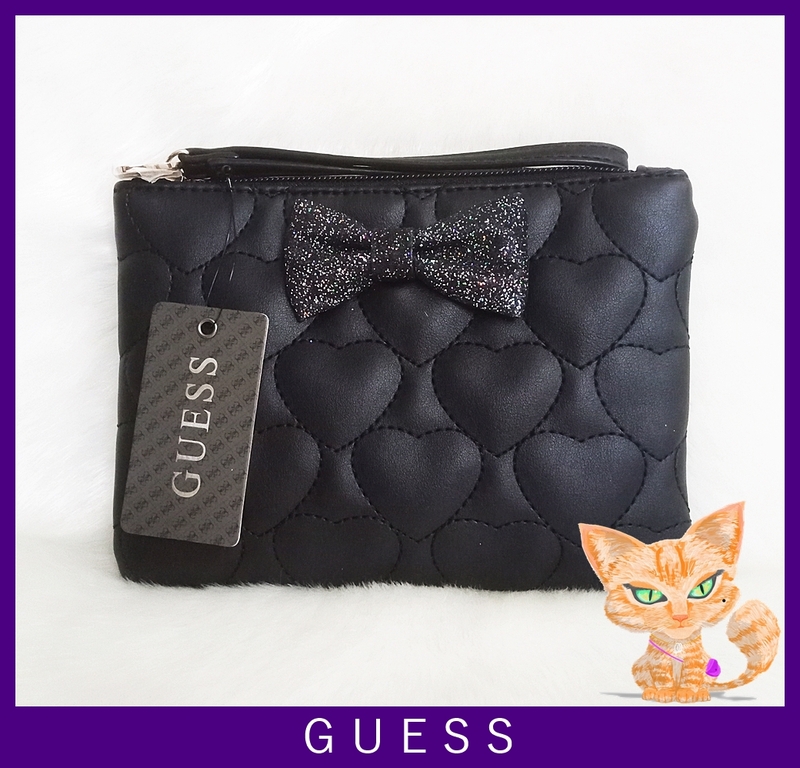 Have fun with black quilted wristlet from Guess. 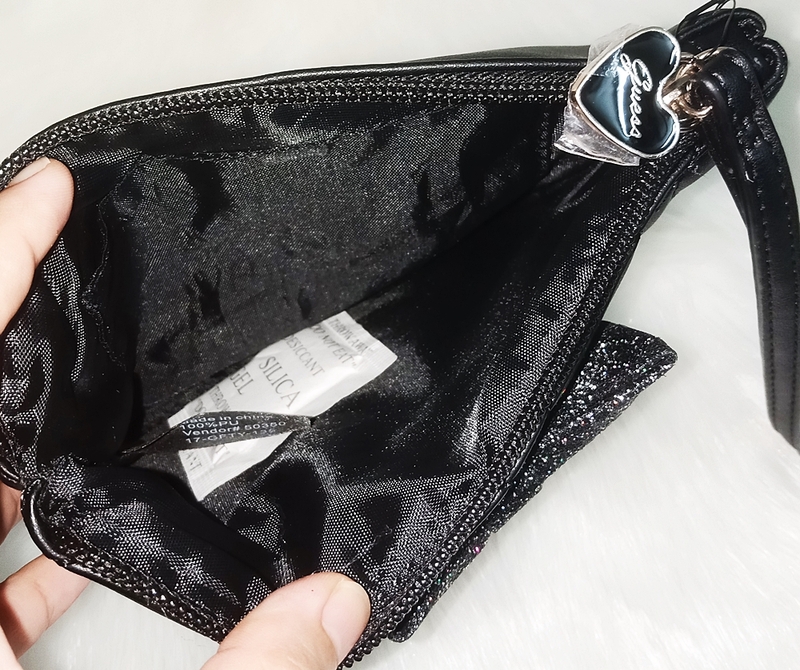 Wear this wristlet during running errands. 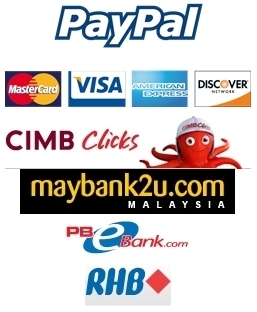 A multifunctional wristlet fits iPhone X, Samsung S9, Oppo F9 and other smartphones.